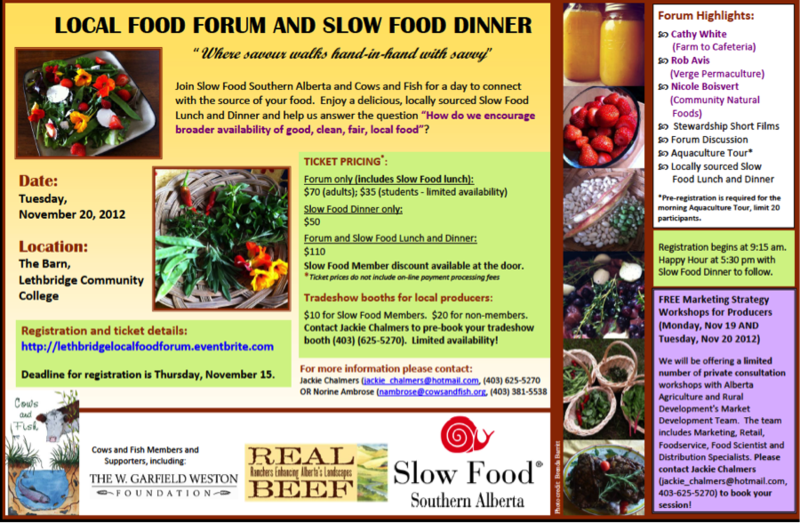 Southern Alberta Slow Food Event!!!! Double click image for larger print! If interested in going, let us know and possibly we can go together! Attention SFE Members: Be a part of our AFE Farmer’s Market! Slow Food Edmonton is kicking off fundraising for our new Garden in Africa Project!